In On the Go! Crochet Basics a step-by-step curriculum, accompanied by useful illustrations, sample swatches, and diagrams, plus 11 inspiring projects will help you master one skill at a time. Crochet has never been so hot, and On the Go! 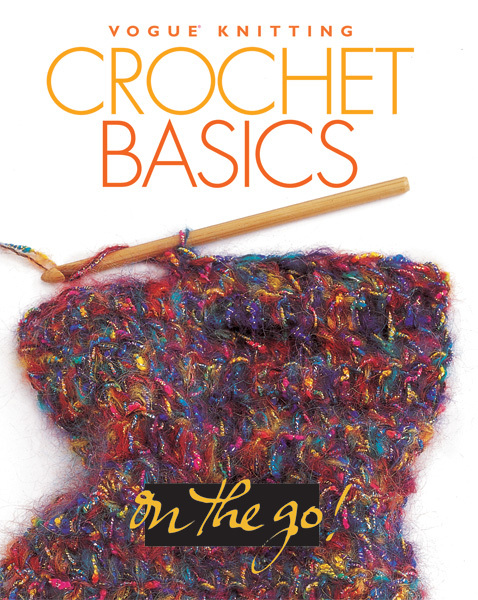 Crochet Basics is the perfect primer to get you hooked. A step-by-step curriculum, accompanied by useful illustrations, sample swatches, and diagrams, will help you master one skill at a time. Then it's time to put your new skills to practice, working your way from basic scarves and hats to more challenging projects such as a tote bag and granny-square baby blanket. Take your hook, yarn, and this handy compact book with you wherever you go, and you'll become a crochet maven in no time!